I just realized I haven't actually talked about my upcoming race. It just so happens to be in the next few weeks. October 4th to be exact. That really only gives me about three weeks left to train. My race is the Judgment Day Half Marathon in Bakersfield, CA. It is the final race for the Sole 2 Soul Series. Now for those of you that don't know where Bakersfield is located, well you aren't missing much. The city happens to be in the arm pit of California. It is kown for being hot during the summers, oil fields, and agriculture. Sooo basically not really much to do there. I do however, have family and some really good friends that live there. The cost of living is great compared to other places in California but that's about it. But as much as I talk crap about this city, it really isn't that far off from Fresno (where I used to live for 7 years). The last two years though, I have pretty much tranformed into a better runner. Not necessarily faster but smarter. I've had to remind myself that running is only a hobby of mine. I will never be fast, so why kill myself trying? Why risk injury when I should just be enjoying the runs? Here is the thing, I know that in order to get faster I need to do the work. I need to do hills, sprints, cross train, and increase mileage. I do most of those things just according to my schedule and not someone elses. 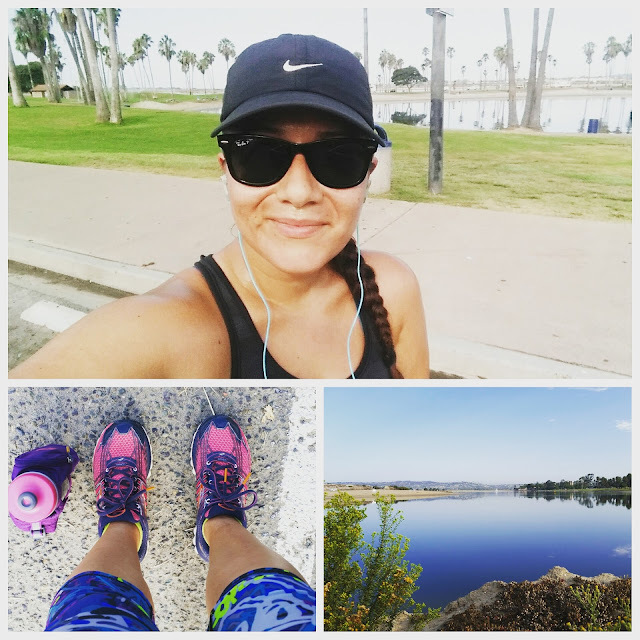 This summer I have been exploring so many new places to run and have honestly been having a blast with my running. Some weeks I am on point while others I just relax. The point is that I am happy to no longer being tied down to a running program. My runs are now spontaneous and not a part of a boring routine. I am not saying that running programs/shedules are bad. I mean I did them for years! Maybe in the future I'll return to them. I've even considered getting a running coach in the future. But for now I am happy with what I am doing. I like being able to dictate how my training goes. I guess because I have no pressure to PR, I am looking at things way differently. Two years ago, I needed to get that PR to prove to myself that I could keep improving. Now I am just proud of myself for crossing that finish line with a smile and with no pain. That has probably been the best part of all this change. I am listening to my body and taking the time to rest when it is needed. This summer training I have just been trying to stay as positive as posible. Yesterday, one of my really good friends from Fresno text me. She told me that she could tell just from the pictures that I have posted on Instagram that I am truly happy. I coudn't help but smile and agree. I am very happy. I haven't been this happy in a long time. I truly believe that training this way has helped with finding some peace of mind. I finally have a good balance with my running. I am once again loving it and just enjoing all the beautiful views I see while running in San Diego. 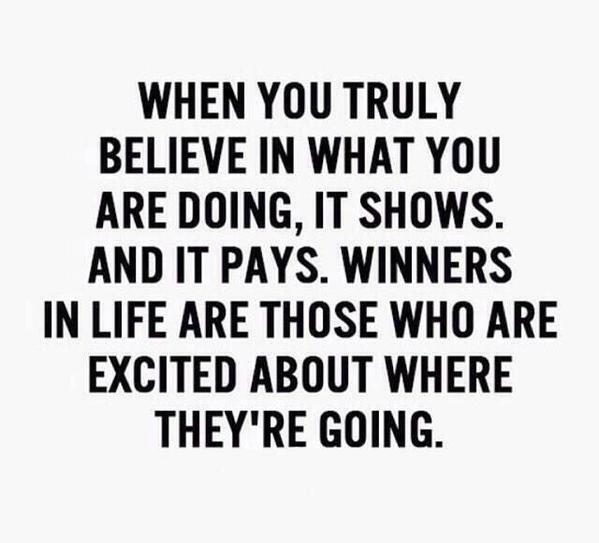 As my next race is approaching, I hope to continue this feeling. Like I said, all I want to do is cross that finish line with a smile. Maybe I'd feel the same way if I had a beautiful place to run in. It's not that it's ugly, but it's not beautiful for the most part either. But I'm with you: finishing, not in pain, always tops my list! Love this! I think it's so important to follow a training plan that you enjoy and that doesn't run the risk of running you to the ground or getting you injured. I get that people want to push themselves to improve, but what's the point if it just feels like a chore and makes you miserable? I've been off a training plan for a while now and I definitely miss some of the structure and not having to think or decide how/when/where to run each day, but I am enjoying the freedom right now. Especially while the weather is still pretty nice where I live and I have options of running later in the day. Good luck on your race, I'm excited to hear how it goes! Thank you Sam! I am sure I will return back to a training plan in the future, but for now I am just enjoying it. Thanks Heather! Yes I love that I am finally listening to my body and taking the rest when I need it. You are so smart for doing what works for you! A big part of running is listening to your body. Running without putting pressure on yourself is best kind. You are awesome! I have been going off of feel for running - but I have been at least getting in my long runs on the weekends.